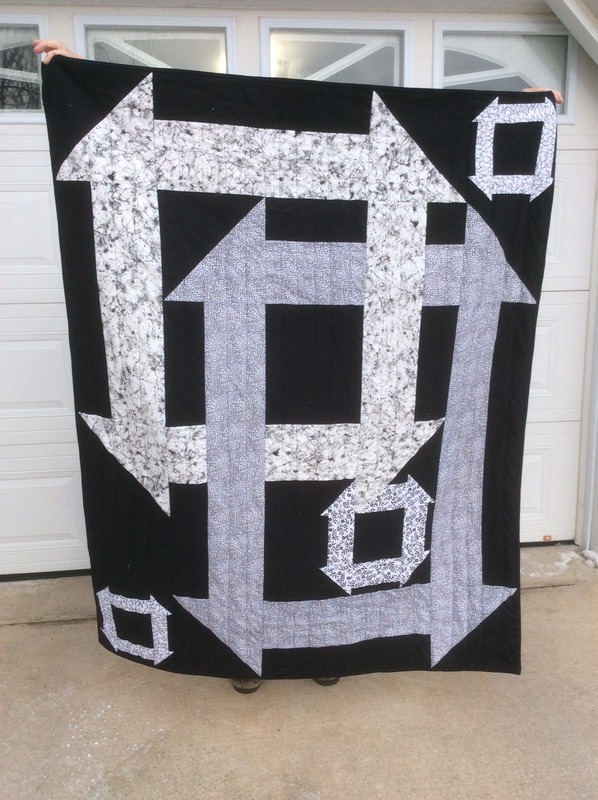 Quilts by Joanne: Black and White sophistication or just a great combo? The Churn Dash is my ultra-favorite block pattern. Your version is stunning! Beautiful! I’m loving the modern clean look of this. That is such a nice use of the churn dash block. i love it in black and white, but think it would also look amazing with a splash of color. Nice piece. This is a stunning quilt using such an old traditional block. It just goes to show how quilters can make anything old, new again. 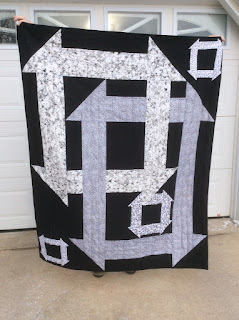 Very creative Churn Dash quilt done in black & white. Modern in Black and White is the perfect combo and your quilt sings in perfect harmony. Love it. Thank you, so much, for joining the B&W blog hop. I love the modern touch you brought to the hop! A classic block for traditional and modern. This is an interesting design and works great with the B&W. Very nice. I like your B&W fabric stash. The pattern is a very clever adaptation of a traditional block. What an amazing quilt. So simple yet so impactful. Churn dash blocks are wonderful. This is a very lovely quilt. This is just gorgeous! Great pattern! I love it! Those Churn Dash blocks inside each other just captivate my mind! I love those giant Churn Dash blocks...wow! It's stunning in those colors. The Churn Dash block is one of my favorites, love the design with the enormous ones! 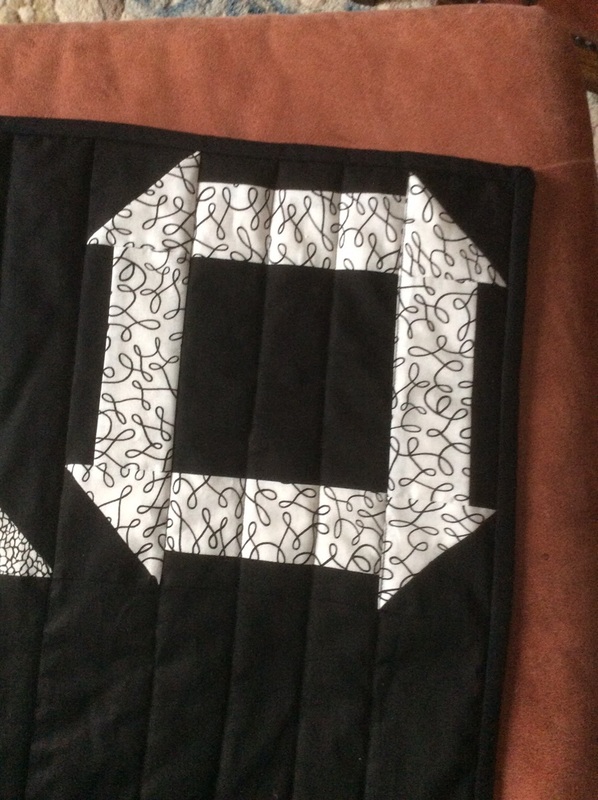 Churn Dash/Monkey Wrench is one of my favorite blocks and was the first quilt block I made when I made an apron for a friend's shower gift 39 years ago!! Great job. I like the Churn Dash block. A nice quilt with a modern feel. Thanks for sharing. That's a stunning quilt! Perfect for the Black and White blog hop! I LOVE this Churn Dash Quilt with the oversized blocks! My mind is racing with all the color combinations it could be done in. Thanks for the giveaway! Great quilt! I love the churn dash block as well. Tammy is actually going to be coming to speak at our guild in May. It would be great to win this pattern! Wow, that is a cool take on an old favorite! It's huge! What a great big beautiful finish! Congratulations on this spectacular beauty! That is a very interesting idea to weave in the churn dashes. That is one large quilt and a beauty. I love the churn dash block much more in its modern interpretations than in its class ones. This one truly is gorgeous. How striking! I love the fabrics you used. Nicely done. What a great pattern and you really made it pop with your color choices. Thanks for sharing it with us and thanks for the chance to win a pattern. I really love this quilt. But, Churn Dash is my favorite block pattern. I love it in the black and white that you did! Perfect pattern for the Black and White hop! Lovely and modern! Thanks for sharing. Such a cool project, I love the triple churn dash effect of this block pattern. What a neat project. I made something similar for a challenge a couple of years ago on a smaller scale. Great project.